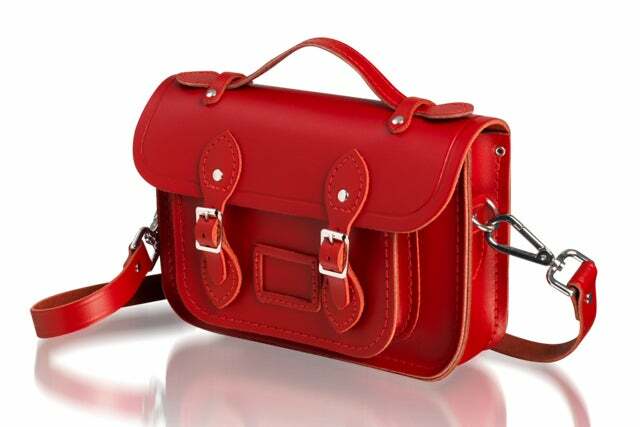 Photo: Courtesy of Cambridge Satchel Company. In our book, a classic, high-quality handbag is worth every penny you spend on it — so while we can appreciate a buzzy It Bag, we tend to invest in the staple carryalls that have hand-me-down potential in spades. Enter our long-running obsession with Cambridge Satchel Company. We ache with envy every time the Brit brand launches a new style, whether it's a hefty oxblood satchel or an icy blue mini version. And now, to fuel our obsession, bag designer Julie Deane is touching down in Georgetown for a meet-and-greet at the Cusp store on M Street NW. You can pop by during her personal appearance for a drink, a little something sweet, and the chance to win an 11" Vintage Brit Bag — a special limited-edition style that celebrates all things British. And hey, if you're not the lucky winner and end up shelling out for your very own satchel, you can still feel pretty smart about your purchase. When: Today, September 19, from 4:30 to 6:30 p.m.
Where: Cusp, 3030 M St NW; 202-625-0893. RSVP by phone or email.